TRANSLIFE provides high quality transcription of audio and video in multiple languages such as Malay, English, Chinese, Tamil, Cantonese, Hokkien and other languages too for clients from different sectors and offers several delivery options at competitive rates. Our transcription team are located not just in Malaysia but also around the world and carefully selected with proven transcription experience across a range of industries. It's easy for you to get high quality transcripts of your audio/video files from us. You just have to send your files online and we will then provide a quote instantly to you. We are able to provide the transcripts in multiple formats such as Microsoft Word, PDF and plain text files, and is time-coded and speakers are tracked with names. We follow a professional transcription process where the initial transcription work is done by our home-based transcribers and then assessed by our in-house team consisting of experienced proofreaders to check through for accuracy, which is why we are able to guarantee a high quality standard. We are very experienced in transcribing interview transcription, video transcription, group discussion transcription, lecture transcription, political interviews, court hearings, court evidences and etc for assorted purposes. We provide general transcription services as well as specialised transcription services for academic transcription, medical transcription, legal transcription and business transcription. Our transcripts are high-quality, consistent, well-researched and delivered on time. 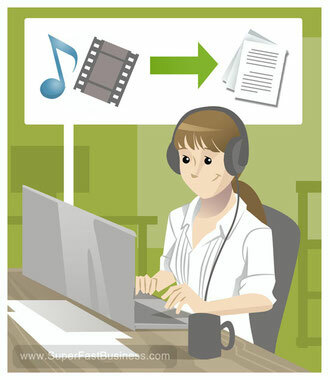 For larger volume of audio or video files, we can split the job among our pool of qualified well trained transcribers to deliver on time. We do research for technical words, names of places, acronyms and other contextual information. We not only provide English transcription services, we also can handle audio / video files in more than 80 languages. After transcription, if you need certified or non-certified translation, we are able to translate for you as well. Please click here to check out our translation services. If you have any further questions about transcription, please give us a call at +603-84081397 or send us an email at main@translifegroup.com. TRANSLIFE’ clients request a variety of transcriptions, consequently, we transcribe a wide variety of recordings. These include dictations, legal disputes and court cases, disciplinary hearings, focus group research and findings, and media such as TV, film, Vimeo, and YouTube videos. We also transcribe medical research, general research, teleconferencing discussions, business meetings and summaries, police cases, private investigations, insurance reports, financial reports, marketing research and strategies, podcasts, journalist interviews, academic thesis, university lectures, as well as religious sermons.